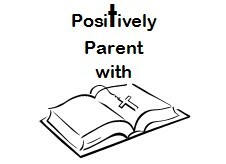 Archive for the ‘Positive Parenting with Scripture’ Category. We never want Scripture to be used only or even primarily when we need to instruct our kids about something they’ve done wrong. No! So, how can Scripture be incorporated into positive teachable moments? Here are three examples across the age spectrum to help you see how easy it is! It’s time for the family to leave the swimming pool. Sam loves the water and often does not want to get out. You are semi shocked when this often obstinate and stubborn child cooperates immediately! You praise him right away, but remind yourself follow up later with Scripture. At dinner, you pull out your Bible and Parenting with Scripture: A Topical Guide for Teachable Moments and flip through until you spot the applicable topic of Obedience. Once there, you skim through the verses and find Ephesians 6:1-3. You read them from the Bible so your child has the visual that this wisdom is coming from God, not some lady named Kara Durbin! You compliment your child in front of the rest of the family for making a super choice at the pool earlier that day, just like the Bible says. You may wish to go further in the discussion by adding in verses 2-3. “Did it ‘go well’ when you made the great choice to obey when we said it was time to leave?” you ask. 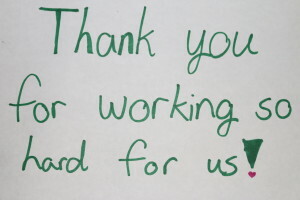 Your family has been under the strain of your husband’s long work hours in his effort to help keep the company afloat. One Saturday, you pray through the day with the kids that the computers will cooperate so their IT (Information Technology) Manager daddy can come home and play and rest. By evening, it’s obvious that he won’t be home before the kids go to bed. Discouraged, you walk into the kitchen and find this note at the kitchen table where your husband normally sets his things down when he comes in. This verse is from the topic of “Encouragement” in Parenting with Scripture: A Topical Guide for Teachable Moments. It’s one I’ve found we use so often that it’s also included in my free download of 15 Fabulous Verses to Memorize. Knowing some of these key Scriptures by heart will allow you to make ready use of them any time a teachable moment pops up! You may remember my post from a few weeks ago titled, “Ask your kids, “What would you do if your teacher made a mistake & gave you a false higher grade?” Read through for a real life example of what it looks like to make use of a teachable moment and positively parent with Scripture on the concepts of CHARACTER, INTEGRITY, CHOICES, and EXAMPLE. We want Scripture to be seen as the blessing that it is. God loves us and knows what’s best for us. Keeping your eyes open for opportunities of catching your child in the act of living out God’s Word helps him/her see the fruitful reward of following our Creator’s wisdom! Are you up for asking God to help you be on the lookout?